At New York press conference Motorola CEO Ed Zander finally introduced Linux-based Rokr and Razr2 models of mobiles for the US market. Motorola announced plans to adopt Linux more than four years ago, but has shipped Linux phones in volume only in Asia and Latin America, to date. 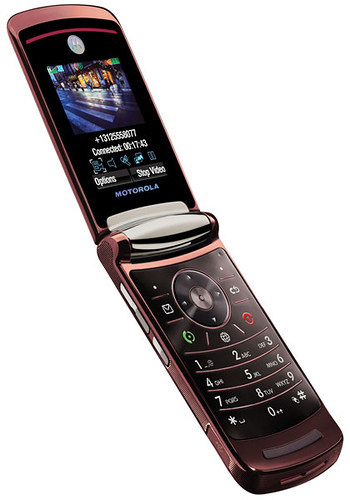 Zander called the Razr2 the "biggest technology upgrade" in the brand's two-and-a-half year history. He said, "Our Linux/Java platform will be available on some versions of Razr2, taking us to our next generation." Zander touted Razr2 hardware upgrades for reduced thickness, and added strength and smarts. 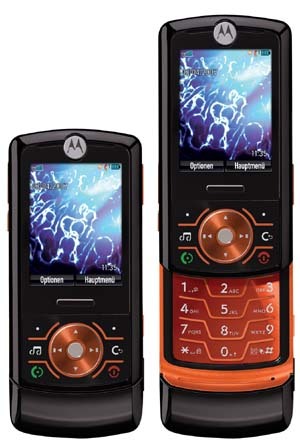 He confirmed that Razr2 phones will use "monolithic" processors based on ARM11 and clocked at 500MHz. Other touted hardware features include high-speed USB 2.0, a steel frame with cast aluminum hinge, and new assembly techniques producing a more seamless look. "We've lost the Rokr's double chin," he said. More info about the Rokr2 can be found here. Motorola announced the MotoRizr Z6 in January, touting it as the first Linux phone to support all of Microsoft's Windows Media technologies. Now known as the MotoRokr Z6, the phone officially launches today, with global roll-out expected over the next several weeks. The Z6 has a unique slider form factor aimed at clearly delineating modality. In other words, "Closed, it's an MP3 player. Open, it's a phone," Dale said. Dale also called the Z6 "Our first true Linux/Java product," presumably a reference to the device's monolithic processor architecture, on which a real-time enabled version of Linux may provide both control- and data-plane functionality; earlier Motorola phones used VRTX or other real-time OSes on separate baseband processors to handle signal processing and run the cellular modem. All I can say after looking into these mobiles is WOW!! For sure my next mobile will be from Motorola!